If you have not already done so, you might want to read the first in this series of articles entitled: The Armor of God, Introduction. Truth is essential to our existence. We base our decisions on what we know, and if what we know is not the truth, we will make very bad decisions. The gas gauge in our cars must tell us the truth, so we do not run out of gas. Our doctor must know the truth about our physical condition, so that he can correctly prescribe the treatment. We want the truth from our spouses, so that our marriage can be all it was meant to be. Since truth is this important to our temporary physical lives, how much more important is it to our eternal soul? At the most, our mortal existence will be about a hundred years in length; our existence in the afterlife will be forever. Would we want to base the decisions we make concerning our eternal destiny on anything less than the truth? Only a fool would think so. The Bible contains the truth humanity needs in order to guarantee an eternal life in paradise with God. We begin our study of the armor of God with the ‘belt of truth’ (Ephesians 6:14a ESV). Having the truth, knowing the truth, and living by the truth are essential pieces of the Christian’s armor. As someone has rightly said, “If you don’t stand for the truth, you’ll fall for anything”. During the events leading up to Jesus’ crucifixion, we read this discourse between Jesus and Pontius Pilate, Jesus said, “I have come into the world— to bear witness to the truth. Everyone who is of the truth listens to my voice. Pilate said to him, “What is truth?” (John 18:37-38 ESV). Let Scripture answer Pilate’s question. Jesus, in a prayer to God for His disciples, said, “Sanctify them in the truth; your word is truth” (John 17:17 ESV). Jesus Christ pronounced God’s Word, most notably what we now have contained in the Bible, to be Truth. Jesus also indicated that this Word is able to make us holy. Jesus said that the only right way to worship God is, “…in spirit and truth…those who worship him must worship in spirit and truth” (John 4:23-24 ESV). This means that we must not only worship God in external ways, but we must worship in our hearts; with our entire being. It is possible to appear to worship God while our hearts are far away from Him (Isaiah 29:13). The true believer must worship God with all of one’s heart, soul, mind, body, and strength (Deuteronomy 6:6, 11:1, 13:3; Matthew 22:37; Mark 12:30; Luke 10:27). truth performs a foundational duty in our spiritual armor. “And the Word became flesh and dwelt among us…full of grace and truth” (John 1:14 ESV). Jesus was the walking, talking embodiment of the Truth, the Word of God. Everything He did, everything He said and taught, all that He is, represents God. Jesus told His disciples, “Whoever has seen me has seen the Father” (John 14:9 ESV). Jesus also said Himself, “I am the way, and the truth, and the life” (John 14:6 ESV). Jesus’ life and teachings consisted of the Truth of God (see also John 1:17, 8:45-46; Ephesians 4:21). Jesus’ message was, and is, a message of Truth. Everything about Jesus is trustworthy; we can count on Him, He will never disappoint. The Bible says that the Holy Spirit is the “…Spirit of truth” and the believer knows, “…him, for he dwells with you and will be in you” (John 14:17 ESV). This assures the Christian that he or she will know the truth; the Holy Spirit will teach, and remind, the believer of it. The Holy Spirit will bear witness of Jesus (John 15:26). Jesus told His disciples that He was going away, but that the Holy Spirit would come to live inside of them. Then Jesus added, “When the Spirit of truth comes, he will guide you into all the truth, for he will not speak on his own authority, but whatever he hears he will speak…” (John 16:13 ESV). The Holy Spirit speaks truth to us, “And the Spirit is the one who testifies, because the Spirit is the truth” (1 John 5:6b ESV). The Bible clearly says that Satan, “…has nothing to do with the truth, because there is no truth in him. When he lies, he speaks out of his own character, for he is a liar and the father of lies” (John 8:44 ESV, cf. Genesis 3; 2 Corinthians 11:3; Revelation 12:9). Satan is the embodiment of evil, deception, and misery; and he trades in untruth in his attempts to lead people away from God. Since the Devil is so closely linked to untruth, it should not surprise us when we see unbelievers also trading in lies and deception. Romans chapter one tells us that unbelievers know the reality concerning God’s existence and power, but they choose to suppress the truth (1:18), exchange the truth for lies (1:25), and they do not obey the truth, but obey unrighteousness (2:8; see also 2 Thessalonians 2:12; 1 Timothy 6:5; 2 Timothy 3:7; 4:4). It is interesting that the Bible here presents ‘truth’ and ‘unrighteousness’ as opposites. One cannot be righteous while rejecting God’s truth. Nevertheless, God says in His Word that He has better plans for those who are faithful to Him. Speaking through the apostle John, we read, “I write to you, not because you do not know the truth, but because you know it, and because no lie is of the truth” (1 John 2:21 ESV). Faithful followers of Jesus know truth when they encounter it; and they are able to recognize lies and deception (1 John 4:6). The Bible contains the record of God’s perfect creation, humanity’s rebellion, and Jesus’ sacrifice for humanity’s sins. This Gospel, or good news, is often called ‘the truth’ in the pages of Scripture (Colossians 1:5-6; 2 Thessalonians 2:13; 2 Timothy 2:25). These passages tell us that we are forgiven of our sins by believing and accepting the Gospel by faith; this Gospel ‘truth’ will set us free (John 8:31-32). An example of the Gospel referred to as ‘the truth’ is found in this passage, which speaks of God’s wonderful grace, “This is good, and it is pleasing in the sight of God our Savior, who desires all people to be saved and to come to the knowledge of the truth” (1 Timothy 2:3-4 ESV). A true Christian loves the truth (1 John 3:18), speaks the truth (Ephesians 4:15; 25), walks in the truth (2 John 1:4; 3 John 1:3-4), and works for the truth (3 John 1:8). A Christian’s life should be characterized by a love for the truth. Those who are lost, are lost because, “…they refused to love the truth and so be saved” (2 Thessalonians 2:10 ESV). 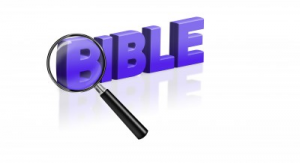 The Bible also tells us that it is the responsibility of the Church to guard the Truth (1 Timothy 3:15), to learn what it says, and to mold ourselves after its teachings, “…rightly handling the word of truth” (2 Timothy 2:15). Not only are we to embrace the Truth that sets us free, but we are to treat others truthfully and honestly, “…having a good conscience, so that, when you are slandered, those who revile your good behavior in Christ may be put to shame” (1 Peter 3:16 ESV). Believers represent Christ; therefore, they must be characterized by truthfulness. In biblical times, the belt in someone’s armor functioned as the foundation for all the other pieces of the armor. The belt performed a foundational duty in the ancient soldier’s armor, much as truth performs a foundational duty in our spiritual armor. No matter what confronts us in our life, we can rely on the Truth of God’s Word to be rock solid for our Christian faith. The Word contains the Gospel by which we are saved, it contains guidelines by which we are to live, and it contains God’s promises to His followers through which He guarantees certain things to faithful believers. When other philosophies come against the Word of God, we can take comfort in the fact that God has given us His Truth within the pages of the Bible. The better we know the content of the Bible, the better equipped we will be to distinguish truth from falsehood. Having a solid grasp of the Truth contained within the Bible enables us to confidently hang the other elements of our Christian faith on a solid foundation. Robert has written 111 articles on What Christians Want To Know! Read them in the archive below. Amen Robert. There is no way that God can lie but as the Scriptures say, every man a liar but God can not. Jesus is truth indeed and your writings show that you have a firm grasp on the truth itself for which I thank God for brother. I don’t think enough people realize how important truth is. No one really wants someone to lie to them. No one wants to base important life decisions on untruth. And certainly the Truth about our eternal destiny is vitally important. God bless you, brother. Great job on this Robert. I am looking forward to reading the rest of this series! I am praying that God will use me, and my words, for His glory and the edification of believers. God bless you. Glory to God. Pastor Robert, this is really great. I will take on all your articles. I can see honey in your writings. Couldn’t sit properly while reading this article. Glory be our Lord God the Almighty. God bless you more man of God. I am so pleased that this article has been an encouragement to you. May God richly bless you as you continue in His service. First, thank you for reading and commenting. It encourages me when I know that my service has blessed someone else. Remember, the truth is not mine, but God’s…He loves us and watches over us. Thank you kind sir for this wonderful piece. Indeed, the bible says that only the truth can set us free. May God help us to live in this truth no matter how bitter its application in our daily lives. I look forward to the other articles in this series. God bless you real good. It is my pleasure to share the Word of God as often, with as many people, as I can. I am encouraged that you are encouraged. The ‘TRUTH’ will set us free. God bless you. Excellent job on the armor of God. I have read the entire series and I learned a lot. The Lord has been putting that scripture Ephesian 6:11 in my heart so this was perfect timing for me to read. I definitely feel that my armor is now well suited up. I am blessed just knowing that my service to God is encouraging others. God bless you. This is awesome and mind blowing, please how can i get this in my mail box daily? I really need them.